Flowers will be received by a McWhorter Funeral Home's staff. 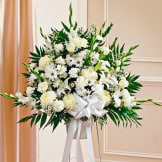 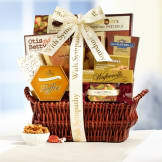 The White Sympathy Standing Basket (standard) was appreciated by the family and found to be a beautiful arrangement. We were fortunate to have sent a high quality product without having to see it in person. 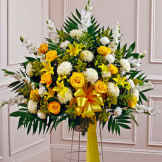 It was ordered online and sent to family in other city on time as promised on the ordering and delivery chart. 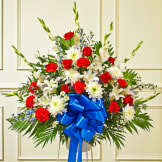 All of our flowers are designed and delivered by hand from a local florist in in Gilmer.